SKU: PPTC03. Three-slot touch call pay phone. Beige: quantity 1. Circa 1965. SKU: PPTC03. Chrome: quantity 3. SKU: PPTC18. 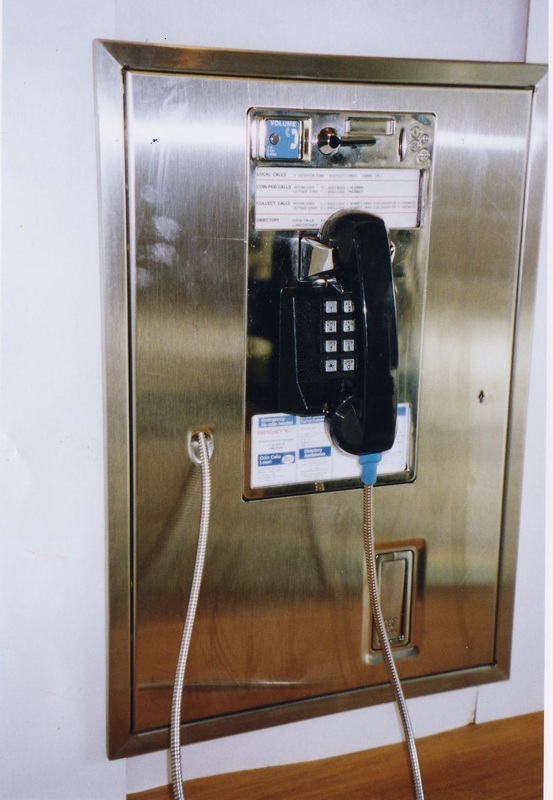 Single slot touch call pay phone. Blue: quantity 1. Circa 1975. SKU: PPTC04 Single slot touch call pay phone. Chrome: quantity 5. Circa 1972. SKU: PPTC02. 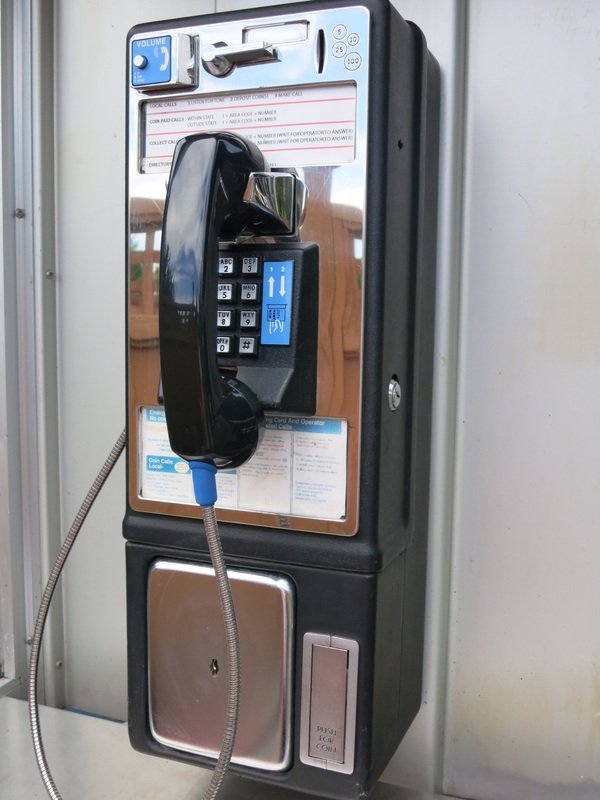 Single slot touch call pay phone. Grey with no cover: quantity 2. Circa 1980. SKU: PPTC02. Red with no cover: quantity 1. 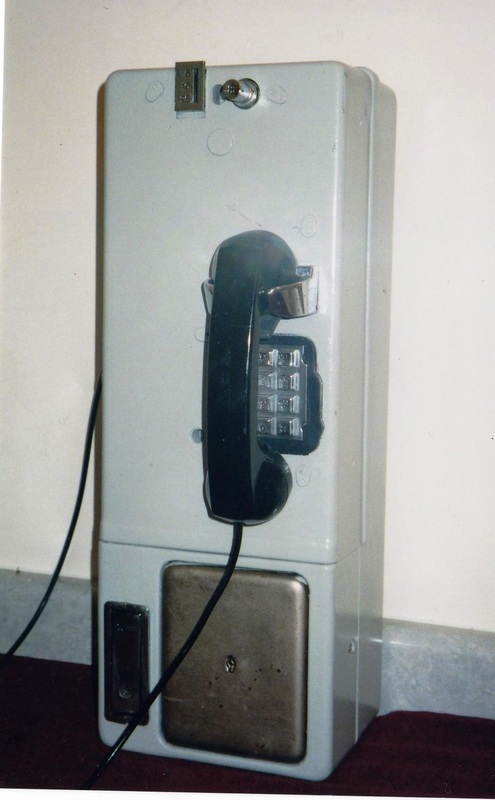 Circa 1980. SKU: PPTC02. Black with cover in place: quantity 2. 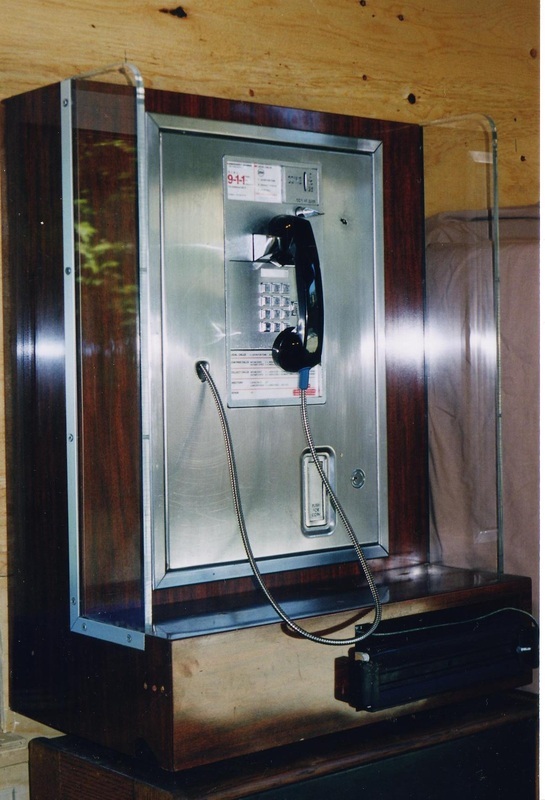 Circa 1980. SKU: PPTC05. 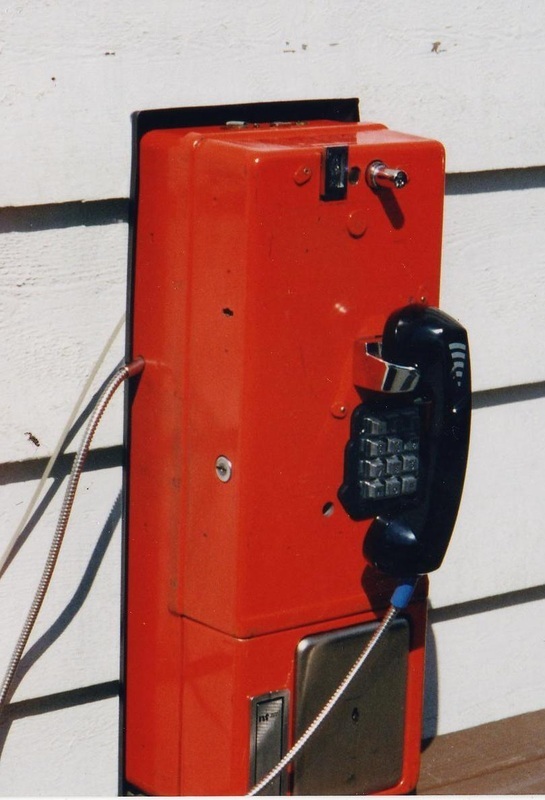 Single slot touch call pay phone. 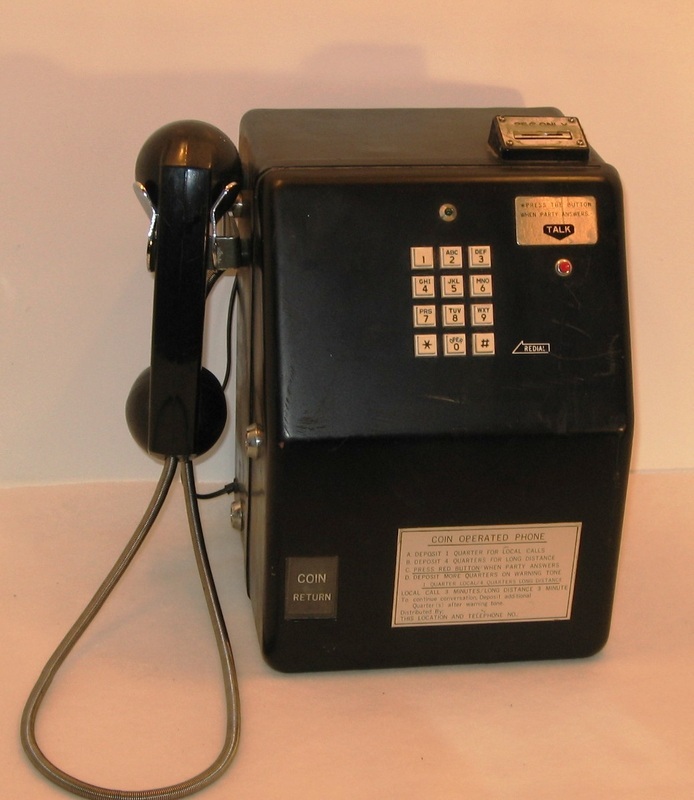 Shown in indoor phone booth (SKU PB08). Black: quantity 8. Circa 1980. SKU: PPTC07. 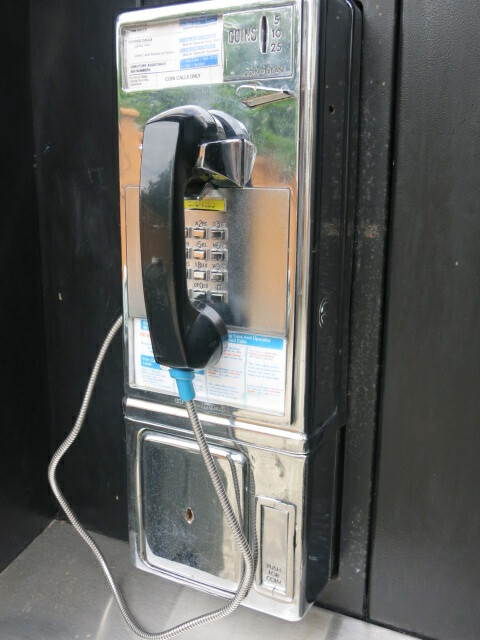 Single slot touch call pay phone. Shown in indoor booth (SKU PB09). Black: quantity 7. Circa 1980. SKU: PPTC01. 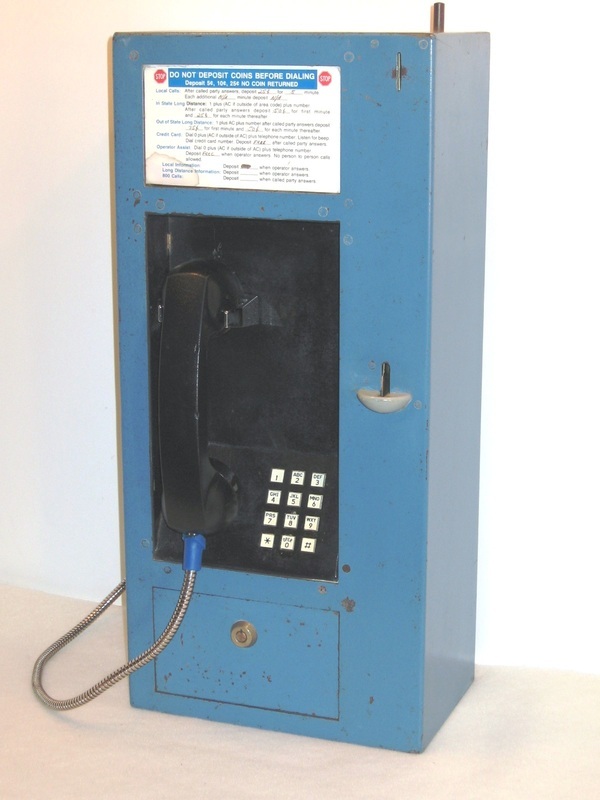 Big Country Electronics - single slot touch call pay phone. Blue: quantity 1. 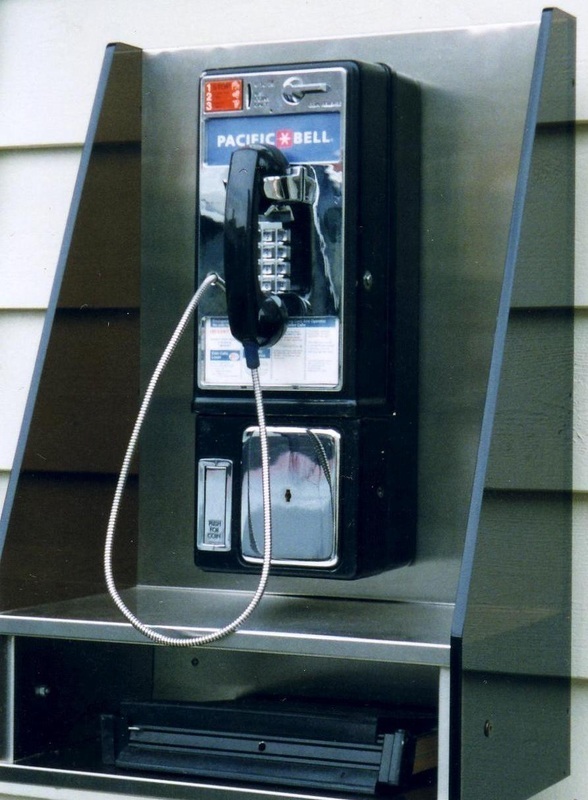 Circa 1980. SKU: PPTC13. 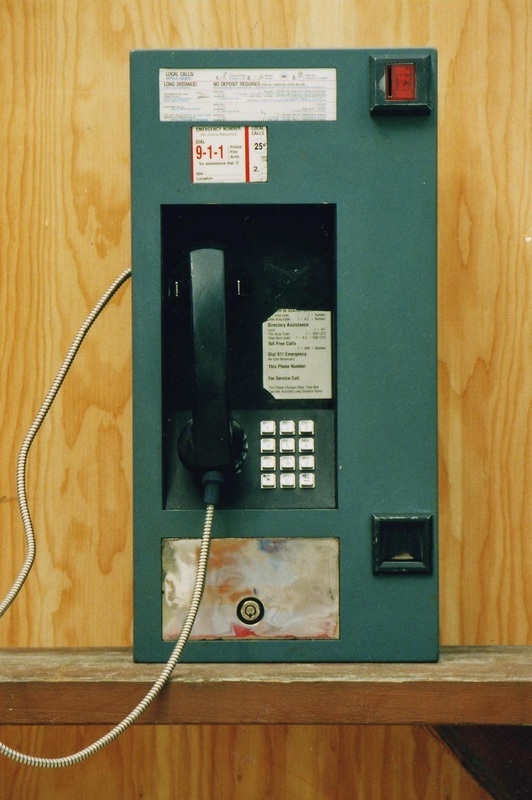 Touch call pay phone with large coin box below. Black & stainless steel: quantity 1. Circa 1982. England. SKU: PPTC14. 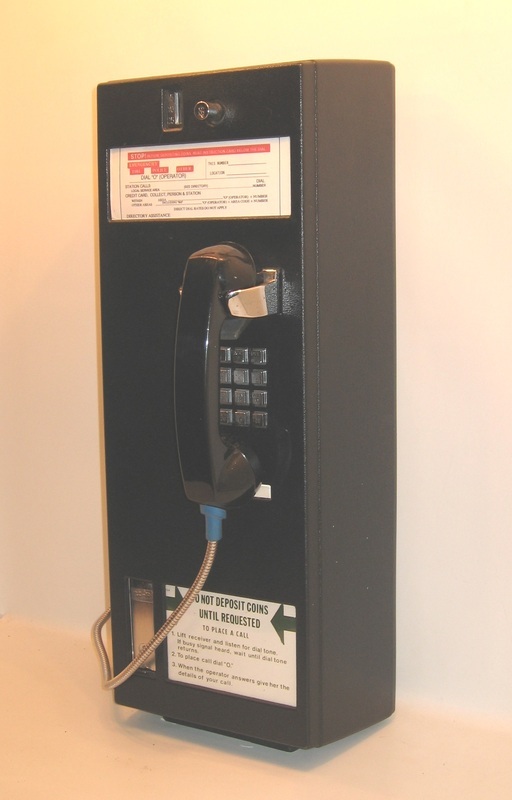 Flush mount airport style single slot touch call pay phone with card reader. Stainless steel: quantity 3. Circa: 1990. SKU PPTC09. 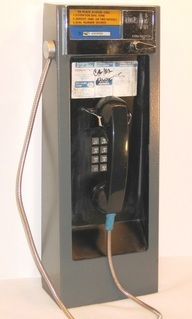 Flush mount single slot touch call pay phone shown in indoor booth (PB29). Hotel or airport style. Stainless steel: quantity 1. Circa 1990. SKU: PPTC10. 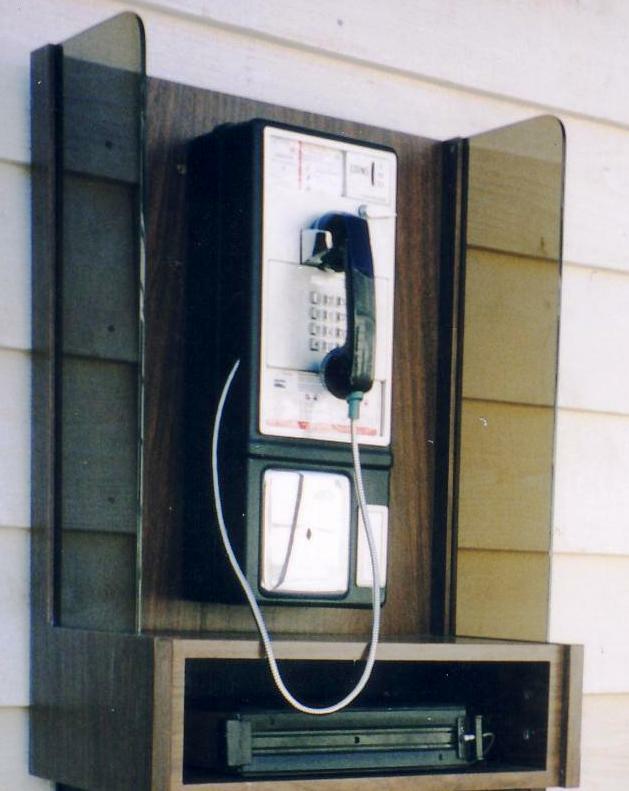 Charge-a-call touch call pay phone. Blue: quantity 6. Circa 1992. SKU: PPTC17. 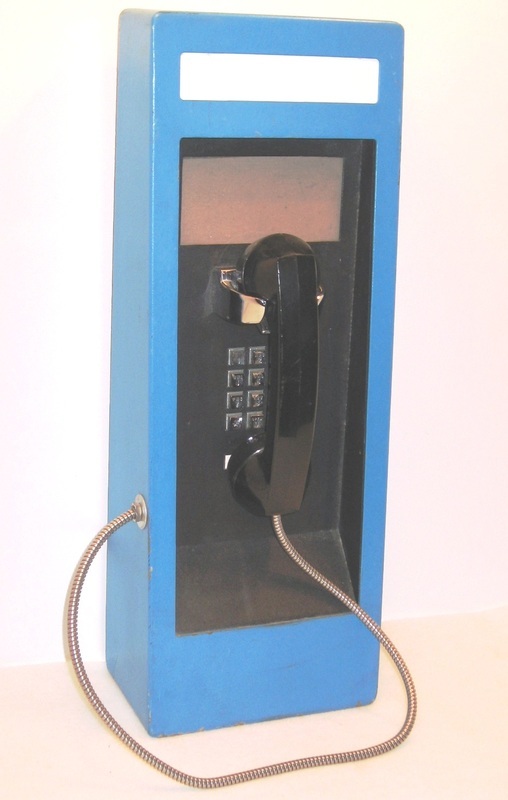 Metal single-slot touch call pay phone. Grey: quantity 1. Circa 1990. SKU: PPTC15. 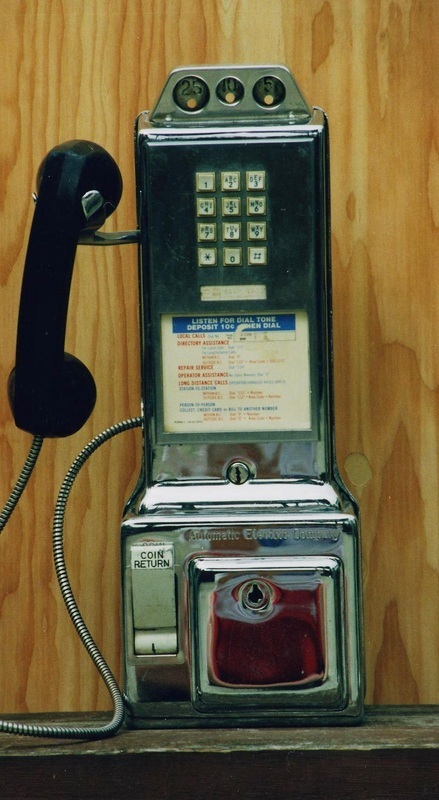 Metal desk top touch call pay phone. Black: quantity 1. Circa 1990. SKU: PPTC12. 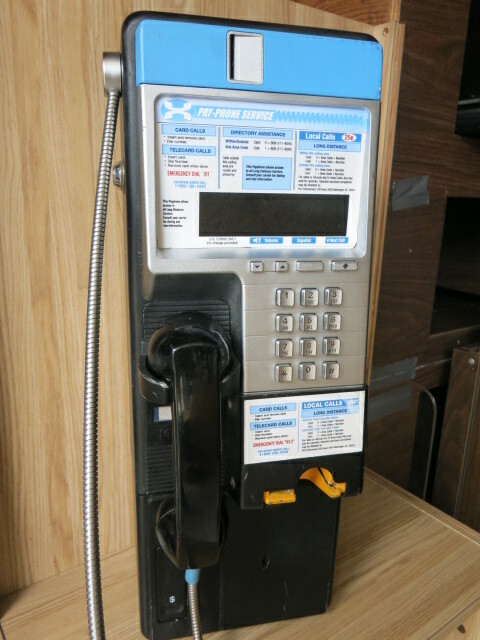 Single slot touch call plastic pay phone. Black: quantity 1. Circa 1995. SKU: PPTC06. 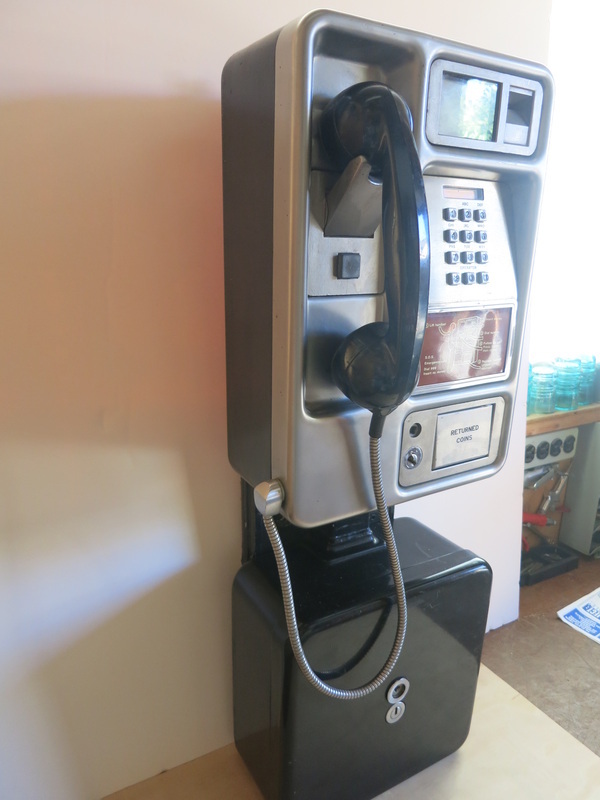 Single slot touch call and card reading pay phone. Black & chrome: quantity 8. Circa 1996. SKU: PPTC08. Millennium single slot touch call and card reading pay phone. Black: quantity 3. Circa 1998. SKU: PPTC16. 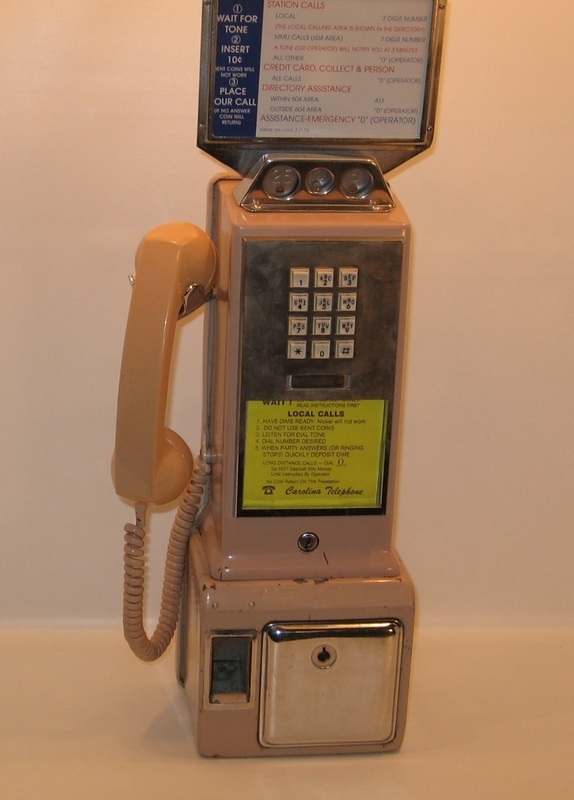 Card swipe touch call pay phone (no coins). Brown: quantity 1. Circa 1998. SKU: PPTC19. 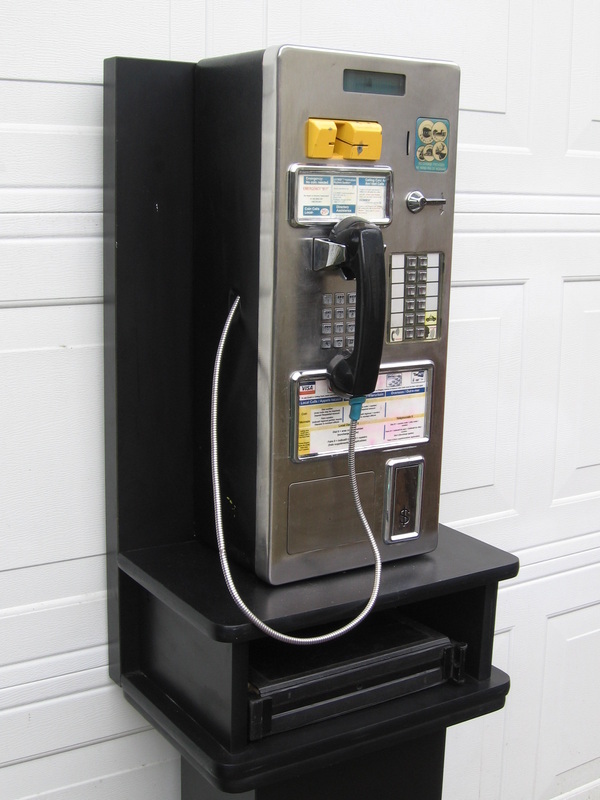 Single slot touch call card reading pay phone - pedestal also available. Stainless steel: quantity 1. Circa 2008. SKU: PPTC20. 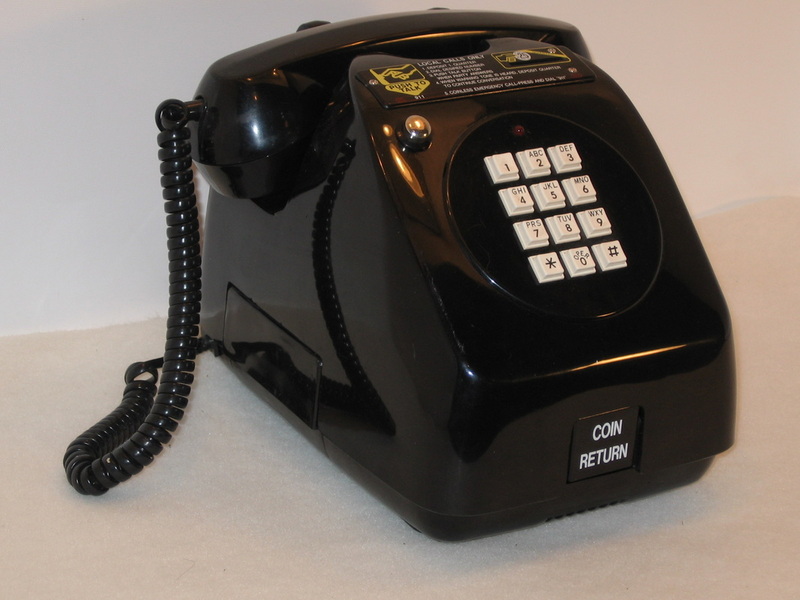 Solitaire plastic desk top touch call pay phone. Grey: quantity 2. Circa 2008. Germany. 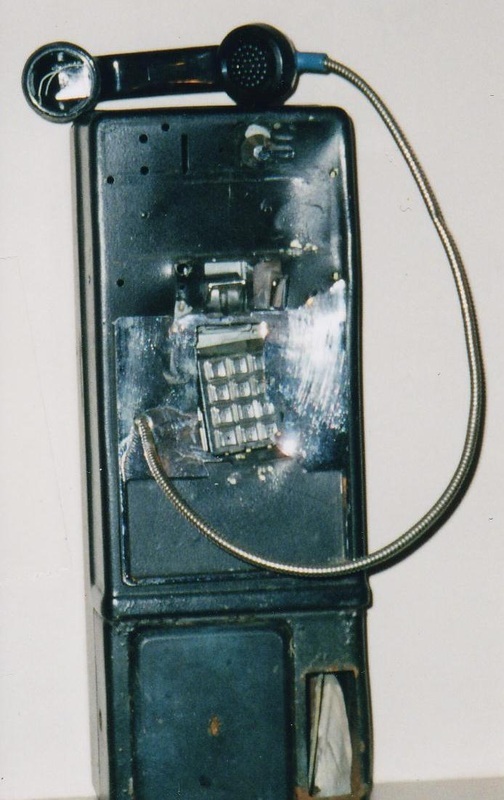 Examples of some damaged pay pay phones along side same payphone in good condition. SKU: SP55. 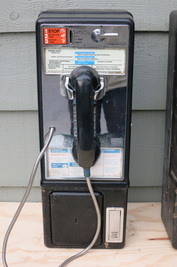 AE single slot touch call pay phone. 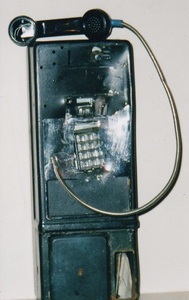 Damaged for use in previous movie. Black: quantity 1. 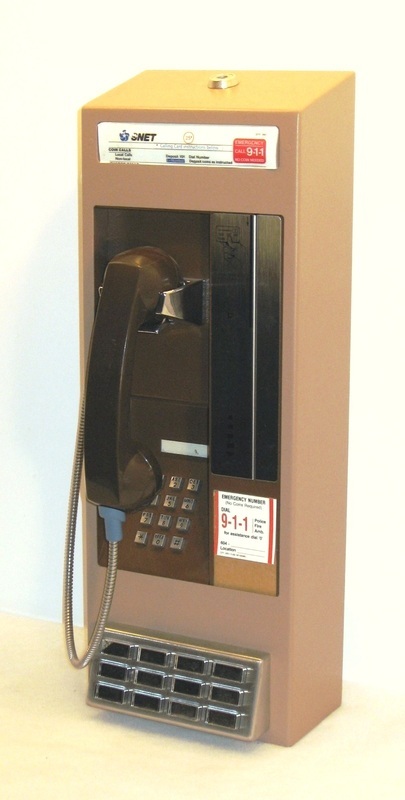 Circa 1980.